The Butchart Gardens of Victoria, British Columbia, enjoy a worldwide reputation. Begun in 1904 in Mr. Butchart’s abandoned stone quarry north of the city, the gardens now contain fifty acres of year-round blossom and sculptured greenery. I first visited the Butchart Gardens as a child. My grandfather knew Mr. Shiner, the head gardener, and one summer day Grandpa took me to visit his old friend. Lest I get lost in the sea of people oohing and aahing and bending over to sniff the endless varieties of flowers, Mr. Shiner took me by the hand. I traipsed alongside, mesmerized. As we traveled the pathways, Mr. Shiner explained flower rotation, bug infestation, and his ideas for irrigation along the high rockeries. He showed us the greenhouses, where spent flowers could rest and recuperate, and he spoke of expansion plans. He pointed with pride to a new kind of rose he’d developed. Mr. Shiner knew every flower in the garden, and it was he who made sure they stayed healthy and beautiful and always growing. What a privilege, I thought, to know the head gardener! On a recent visit to the gardens, I recalled with pleasure that magic day so many years ago. As I thought back on my walk with Grandpa and Mr. Shiner, it occurred to me that God protects and nurtures us in much the same way. Like the gardener, God provides all that we need. He tends us when we suffer infestations of ill-will, poor health, and other woes. 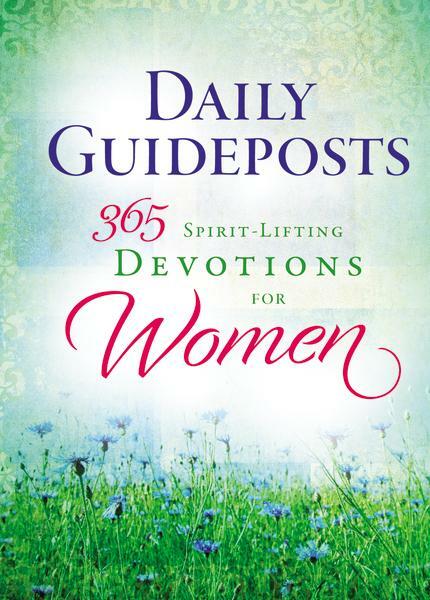 He creates within us a new spirit; He expands our horizons with new goals. Truly it is a privilege to know the Head Gardener! 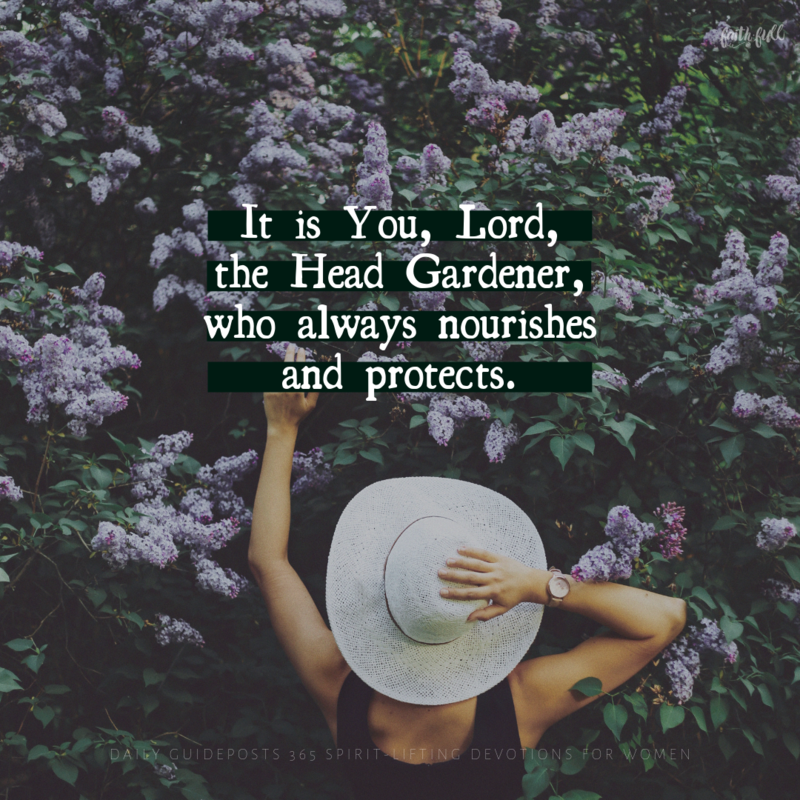 Whether I’m withering or flourishing, let me remember it is You, Lord, the Head Gardener, who always nourishes and protects. Every spring, I steal a bouquet of lilacs. Okay, maybe steal is too strong a word. But the lilac bush isn’t mine. Still, I load my arms with the fragrant purple blossoms. The flowers bloom just barely in sight of the highway. I park my car on the shoulder of the road and wade through neglected grasses, past the foundation of a long-gone house, and through a small patch of cactus to the purple wonder, bent and splendid, offering itself to me in polite submission. I gather the blossoms in my arms and walk back to my car. I’d like to think that whoever planted my secret lilac bush would be pleased that I seek out this annual bouquet. Perhaps she watched it grow from her kitchen window. Maybe, long before the highway was here, her mother planted a small, gangly twig. And with sun and rain and time it became a lilac bush of extraordinary beauty. Later, as I inhale the heady scent of my bouquet, I’m reminded that good things take time. And that, in ways we can’t begin to imagine, the seeds we plant today will produce fruit. And maybe a few lilacs. Oh, Master Gardener, thank You for the miracle of growth and the role I’m called to play in it. And thank You for lilacs!